China’s socialist legacy, augmented by its state-led development model, enables Chinese leaders to deploy a combination of economic carrots and sticks to advance their diplomatic agenda. Competing domestic interests, rising regional anxiety, and economic challenges at home limit the effectiveness of China’s economic statecraft. Suspicions that the Chinese government will manipulate its trade and investment to undermine Australian autonomy or security are overblown. Never in world history has one government had so much control over so much wealth. It is no surprise, therefore, that Beijing is deploying its vast economic wealth to advance foreign policy goals. China is using economic statecraft more frequently, more assertively, and in more diverse fashion than ever before. Yet fears of China’s economic coercion should not be overdrawn. Diverging interests across the broad array of state and commercial actors engaged in China’s economic statecraft impedes effective policy implementation. A review of cases where China has used economic sticks or carrots shows a mixed record of success. Indeed, in many respects China’s use of economic statecraft has been counterproductive. 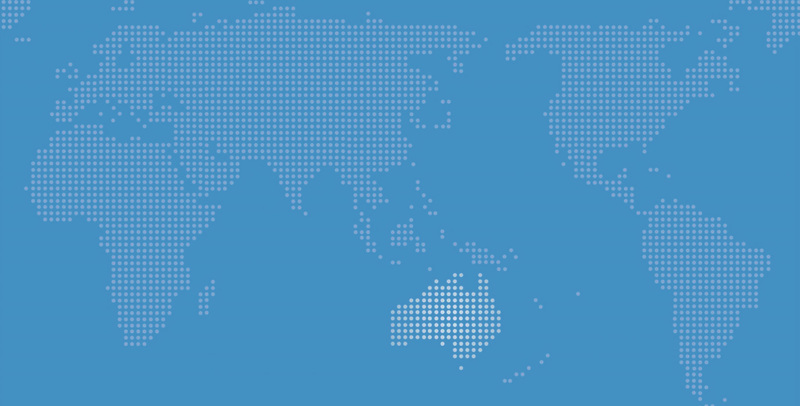 These constraints, along with China’s domestic challenges and Australia’s considerable economic advantages, limit Australia’s vulnerability to potential economic coercion from its largest trading partner. In December 2009, Cambodia agreed to deport twenty ethnic Uighurs back to China to be prosecuted in connection with the July 2009 violent anti-government protests in Xinjiang province. Several weeks later, China’s Vice-President Xi Jinping arrived in Cambodia bearing gifts: US$1.2 billion in grants and loans. The US State Department responded to Cambodia’s decision to deport the Uighurs by cancelling a shipment of 200 surplus military trucks to Cambodia. Three weeks later, China donated 257 trucks. By 2012, China’s pledged loans and grants to Cambodia reached US$2.7 billion. This benevolence seemed to pay off in July 2012, when Cambodia used its power as chair of the ASEAN Summit to block a joint statement criticising China’s approach to territorial disputes in the South China Sea. Such strategic use of China’s financial resources causes anxiety in Asia and around the world, and with good reason. Never in world history has one government had so much control over so much wealth. China’s leaders govern a country that has the world’s largest capital surplus and its second largest economy, a highly coveted domestic market, and a currency with growing regional appeal. The temptation to deploy China’s economic might for strategic benefit has proven irresistible. China today is using economic statecraft more frequently, more assertively, and in more diverse fashion than ever before. Economic statecraft is the use of economic resources by political leaders to exert influence in pursuit of foreign policy objectives. There are three main strategies: providing capital through foreign aid or direct investment; expanding trade via preferential trade agreements or state procurements; and altering monetary policies such as purchasing foreign bonds or intervening in currency markets. These tools can be deployed either as incentives or as punitive measures. The degree of political influence that China is able to wield with particular countries will vary. Above all, size matters. Given China’s economic heft, a minor shift in China’s trade, aid, or investment can have a massive effect upon a smaller economy. The aim of this Analysis is to examine the broad range of actors and techniques used in China’s economic statecraft and to understand how effective it is in achieving China’s foreign policy goals. Research for this Analysis draws upon extensive interviews and field research in Beijing, and in Liaoning, Jilin, Xinjiang, and Yunnan provinces, as well as from Chinese government documents, media reports, and academic studies. The first part of the paper argues that China’s socialist legacy, augmented by its state-led development model, offers China’s leaders significant ability to deploy the state’s enormous economic assets to advance their diplomatic agenda. The second part examines the way that Beijing uses both economic carrots and sticks for strategic purposes. The third part considers the limits of China’s economic statecraft. These limitations are explored in the paper’s final part, which addresses the potential impact of China’s economic statecraft on Australia. China’s use of economic means to advance its strategic and diplomatic objectives is hardly unique – countries have always sought to deploy economic tools for strategic advantage. Nor is China’s own use of economic pressure new. Since the founding of the People’s Republic in 1949, China’s leaders have provided aid or refused trade in support of broader strategic and ideological objectives. But in recent years, as China’s economic might has risen, its ability and the temptation to use that power has grown. China’s strategists, guided by a pragmatic pursuit of greater influence, have begun to reconsider how to best deploy their national riches. China’s national wealth is imposing. Its agricultural and industrial output is the world’s largest. It is the world’s second-largest exporter (US$2 trillion) and its third-largest importer (US$1.7 trillion). This economic heft confers considerable trading leverage. China is the largest trading partner for over a hundred countries, including Australia, Japan, South Korea, Vietnam, Malaysia, Indonesia and India. China’s overall trade surplus has enabled it to run up the world’s largest current account surplus (US$213.8 billion) and amass foreign exchange reserves of US$3.3 trillion. China holds one-fifth of all foreign-owned US Treasury securities. China’s overseas foreign direct investment (FDI) stock of US$502 billion is less significant: only the 14th largest. In 2012, China’s FDI outflows of US$62.4 billion lagged behind the United Kingdom and Germany, and were only half of Japan’s outward FDI – although China’s investments have risen sharply since 2005. More significant than aggregate wealth, however, is the pervasive control that the government exercises over these resources. China’s socialist legacy and its state-led development model have left China’s leaders with enormous control over its economy – even if that control has real limits. Five government agencies sit at the apex of the state’s economic power. The Ministry of Commerce (MOFCOM) oversees companies and policies on foreign trade and investment, and directly administers foreign aid. The National Development and Reform Commission (NDRC) sets industrial policy and approves major development projects. The State-owned Assets Supervision and Administration Commission (SASAC) is the ‘owner’ of China’s large state-owned enterprises (SOEs), tasked with increasing the value of these state assets. The financial sector is dominated by the Ministry of Finance (MOF), which manages the national budget, sets fiscal policy, issues economic regulations, and shapes macroeconomic policies. China’s central bank, the People’s Bank of China (PBoC), manages currency flows, sets banking policies and, along with the China Banking Regulatory Commission (CBRC), oversees all banks. Capital for China’s economic statecraft comes primarily from the banking sector. Two ‘policy banks’ tasked with implementing government policies, play key roles. China Development Bank (CDB) helps finance infrastructure and energy projects in China and abroad. Export-Import Bank of China (Eximbank) finances trade deals and provides subsidised loans for China’s aid program. China’s commercial banks are also owned by the state, though they are expected to be profitable. The four largest are the Industrial and Commercial Bank of China (ICBC), Bank of China (BOC), China Construction Bank (CCB), and the Agricultural Bank of China (ABC). The China Investment Corporation (CIC) is China’s sovereign wealth fund. Short-term foreign reserves are held by the State Administration of Foreign Exchange (SAFE). These are massive institutions. ICBC is the world’s largest bank; three other Chinese banks are in the top ten. The nation’s leading foreign-currency lender CDB has total assets exceeding US$900 billion – more than the World Bank and Asian Development Bank combined. Over the past decade, Eximbank’s loans to sub-Saharan Africa vastly exceeded funds lent by the World Bank. SAFE is ranked as the world’s third largest sovereign wealth fund, with US$568 billion; CIC is fifth, with US$482 billion in assets. The state dominates the entire sector: 98 per cent of China’s banking assets are state-owned. Over the past decade, government control of the economy has strengthened, as an earlier trend toward the privatisation of state assets was halted. At the core are China’s state-owned enterprises (SOEs), which receive three-quarters of all state bank loans. They generate 35 per cent of all business activity and 43 per cent of all profits in China. Of the 85 Chinese companies in the 2013 Fortune Global 500 list, 90 per cent are SOEs. Three made Fortune’s top ten: Sinopec (4th), China National Petroleum Corporation (CNPC) (5th) and State Grid Corporation of China (7th). SOEs occupy all ten top slots on Fortune’s China 500 list. China’s 20 largest outward investors, generating 92 per cent of outbound investments, are all state-owned. In recent years the temptation to deploy these formidable economic assets to pursue China’s foreign policy interests has proven irresistible. It would be wrong to assume that China’s economic statecraft is guided by a coherent grand strategy however. Instead, it is best understood as the selective application of economic incentives and punishments designed to augment Beijing’s diplomacy. In some cases, China exerts influence through reciprocity, in which desired behaviour is rewarded while undesired behaviour is punished. In other instances, Beijing provides benefits unconditionally, in the hope that ‘sustained economic engagement will eventually produce a political transformation and desirable changes in target behavior.’ Such influence is more indirect, as China hopes that the benefits of trade and investment empower a ‘commercial fifth column’ within the target country that urges accommodation with China’s preferences. As China’s foreign policy agenda has become more crowded and complex, its leaders have turned to a range of economic resources to encourage other states to act in ways consistent with Beijing’s policy preferences. While Beijing has not been shy about wielding economic coercion to defend its core national interests, China’s leaders generally prefer carrots to sticks. Foreign aid, state purchases, generous trade agreements, and cross-border infrastructure projects have emerged as useful arrows in Beijing’s diplomatic quiver. Foreign aid is a key resource for China’s economic statecraft. By its own account, China had distributed aid to 161 countries by the end of 2009, including 123 developing countries: 30 in Asia, 51 in Africa, 18 in Latin America and the Caribbean, 12 in Oceania and 12 in Eastern Europe. Like all donors, China’s aid is used to help bolster important diplomatic relationships, particularly in Africa and Southeast Asia. Approximately 80 per cent of all China’s aid goes to Asia and Africa. China’s aid projects generally originate from recipient country requests and are overwhelmingly oriented toward infrastructure projects, generally undertaken by China’s firms. The recipient country obtains a new road or building, but rarely any cash transfers. Seeking to address recipients’ domestic political concerns, Beijing often finds itself supporting prestige projects such as the Don Chan Palace, a five-star hotel in Vientiane, or the Laos National Stadium, built for the 2009 Southeast Asian Games. China also relies upon selective ‘purchasing diplomacy’, in which China’s state-owned enterprises make or forgo purchases of prominent commercial goods to either reward or punish foreign states for their diplomatic policy. Such purchases help temper foreign disquiet over China’s rising power. On his May 2013 visit to Germany, Premier Li Keqiang faced mounting German criticism over China’s subsidies of solar panels. In response, Li opened his cheque book, overseeing major commercial deals and dangling the possibility of German firms obtaining contracts as a part of China’s transition to a ‘green economy’. China has promoted greater trade and investment with its 14 land neighbours. This strategy offers Beijing a classic ‘win-win’ opportunity: drawing nearby countries into China’s economic orbit while bolstering its diplomatic leverage and creating commercial opportunities for Chinese firms. China’s push for regional infrastructure is at the heart of this effort. In recent years, Beijing has funded a thickening network of cross-border railways, roads, and oil and gas pipelines across mainland Asia. These projects enhance China’s access to strategic natural resources, while meeting pressing infrastructure requirements among China’s poorer neighbours. China has also ramped up its support for new regional institutions to fund cross-border projects, including President Xi Jinping’s recent call to establish an Asian Infrastructure Bank. To further facilitate economic integration and encourage domestic constituencies to support closer relations with China, Beijing has also offered preferential trade deals to key regional partners. China has already signed 11 free trade agreements, and is currently negotiating four more, covering a total of 31 economies. While driving a hard bargain in trade talks with large, wealthy nations, Beijing has been surprisingly magnanimous toward smaller but strategically important economic partners. To assuage concerns over political integration, Beijing offered both Hong Kong and Macao generous ‘Closer Economic Partnership Arrangements’ in 2003. China also included a generous ‘Early Harvest Program’ in the 2002 China-ASEAN Free Trade Agreement (CAFTA), opening China’s markets to ASEAN agricultural imports. Instead of exacting the best deal possible for China, Beijing structured CAFTA to reassure China’s Southeast Asian neighbours and give them a stake in China’s economic success, striving to present itself as a ‘benevolent regional hegemonic power.’ CAFTA also bolstered Beijing’s pursuit of WTO recognition as a market economy – a status ASEAN accorded China in September 2004. It is no great surprise that Chinese leaders prefer using economic carrots rather than sticks as a means of obtaining diplomatic benefits. In their view, incentives offer mutual economic benefits – a ‘win-win’ outcome. Spreading economic goodwill also eases diplomatic relations, tempers public anxiety over China’s rise, and builds closer economic and political ties. Yet Beijing also remains willing to deploy punitive economic measures in defence of core national interests. For China’s leaders, sanctions offer a low-cost, low-risk way to signal dissatisfaction, increase the costs to states that take undesired actions, and satisfy domestic demands to ‘do something’. Beijing often uses the spectre of sanctions as diplomatic language – a costly signal of frustration. They also serve as a deterrent – warning that if the action is not reversed, China will be forced to take even more stringent action, and that other states risk facing similar economic costs for crossing Beijing’s red lines. This signalling strategy was on display in January 2010, following the US announcement of a US$6.4 billion arms sale to Taiwan. Vice-Foreign Minister He Yafei threatened Ambassador Jon Huntsman that China would ‘impose sanctions against [US] companies that will engage in arms deliveries to Taiwan.’ While no overt sanctions were implemented, China has already successfully deterred other countries from selling arms to Taiwan. The last major European sale to Taiwan was France’s 1992 sale of Mirage fighter jets. It prompted Beijing to close the French consulate in Guangzhou and cost French companies the opportunity to help build the Guangzhou subway. Unlike US sanctions, which are formalised through domestic law and/or presidential decisions, China rarely openly declares its economic sanctions. Instead, Beijing prefers to use vague threats, variation in leadership visits, and other informal or indirect measures, enhancing Beijing’s flexibility while minimising diplomatic fallout. In March 2012, for instance, Xinjiang province’s Party chairman Nur Bekri decried ‘countless’ links between local terrorists and Pakistan. A few weeks later, the ICBC withdrew promised financing for a gas pipeline from Iran to Pakistan – signalling Beijing’s displeasure. China has also threatened economic sanctions to counter criticism of its human rights policy, such as the 2010 awarding of the Nobel Peace Prize to jailed dissident Liu Xiaobo. After the award was announced, China promptly cancelled a ministerial trade delegation to Norway. Over the next two years, the Chinese foreign ministry refused to receive Norway’s ambassador to Beijing, while the bilateral human rights dialogue and free trade negotiations were postponed indefinitely. Norwegian salmon exports to China also dropped by half in early 2011, though overall bilateral trade between China and Norway experienced ‘no Nobel effect’ according to Statistics Norway. Instead, bilateral trade rose sharply over 2011. As the boycott grew stronger, commerce ministry spokesman Shen Danyang offered implicit support for such ‘rational patriotic activities.’ Customs authorities began tightening their inspections of seaborne imports from Japan and delayed their approvals of Japanese working visas. Japanese firms were asked to withdraw from an international trade fair in Chengdu and tourists were discouraged from visiting Japan. Most notably, Chinese banks and financial officials withdrew from the annual World Bank-IMF meetings held in Tokyo from 12-14 October. Citing declines in Japanese car sales and investments in China, J.P. Morgan downgraded its projections for Japan’s economy for the final quarter of 2012. Overall trade figures, however, soon picked up. In 2012, while global foreign direct investment in China fell by 3.7 per cent, Japanese investment actually rose by 6 per cent. While a comprehensive assessment of the effectiveness of China’s economic statecraft is beyond the scope of this paper, the preceding discussion does suggest a few preliminary conclusions. The first is that size is the most important factor. The degree of political influence generally increases with the asymmetry of the economic relationship. Given China’s economic heft, a minor shift in China’s trade, aid or investment can have a massive effect upon a smaller, more dependent economy. Neighbours such as Laos or Cambodia are thus more likely to accede to Beijing’s pressure than larger economies such as Japan or South Korea. Much also depends on the issue at stake, namely its relative significance for the country facing Chinese pressure. The Dalai Lama is a case in point. One study finds that from 2002 through 2008, a reception by a country’s political leader of the Dalai Lama resulted in an average 12.5 per cent drop in exports to China for the following two years. The most significant and consistent effect is in exports of machinery and transport equipment (i.e. airplanes), goods commonly sold during state visits and trade missions. For many countries, maintaining close economic ties with China will trump their interest in receiving the Dalai Lama, although others remain unwilling to submit to such coercive measures. The difficulty of this dilemma is evident in the mixed record of how countries respond to visits by the Dalai Lama. European states have proven more resilient, accounting for roughly half of all Dalai Lama receptions by government members. The United States is the most hospitable: the Dalai Lama has met with the last four US presidents, numerous congressional leaders, and has spent more days in the United States than any other country (aside from India). Yet even America has been cautious. In September 1995, for example, President Bill Clinton arranged for a cabinet member rather than himself to receive the Dalai Lama, but then he casually dropped in for a quick chat. The New York Times ruefully admitted that a more official reception ‘would [have] cost us trade with the Chinese.’ After UK prime minister David Cameron met with the Dalai Lama in May 2012, Beijing threw diplomatic relations into a ‘deep freeze’ for 14 months before agreeing to meet with Cameron again. Finally, carrots have generally been more effective than sticks. In the case of Taiwan, for instance, Beijing used the lure of its domestic market and manufacturing capacity to attract Taiwan’s investors. Beijing’s blandishments were finally reciprocated after Kuomintang (KMT) Party leader Ma Ying-jeou won the March 2008 presidential election. In 2010, Ma signed the Economic Cooperation Framework Agreement (ECFA) – the first FTA between WTO members with a territorial conflict. Like CAFTA, ECFA strongly favours agricultural interests in Taiwan’s ‘green South’ – a traditional stronghold of anti-mainland sentiment. By 2020, Taiwan expects to send some 62 per cent of its exports to the mainland, bolstering its substantial trade surplus with China. An estimated two million Taiwanese businesspeople now live in China; a million Chinese tourists visit Taiwan annually. For Beijing, its reward came when Ma was re-elected on 14 January 2012 – aided by Taiwan’s business community’s support for deepening cross-strait economic ties. While Ma’s plummeting support augurs new challenges for Beijing’s strategy, trends in cross-strait ties have shifted dramatically in China’s favour. In contrast, economic coercion has proven counterproductive in China’s maritime disputes. In response to the consumer boycotts and economic pressure, Japan has refused to back down over the Senkaku/Diaoyu islands. Instead, Tokyo has strengthened its cooperation with other Asian neighbours, signed a fisheries accord with Taiwan, and secured statements of support from the United States. Similarly, China’s decision to restrict its imports of bananas from the Philippines during a 2012 territorial dispute yielded a defiant response, spurring nationalist sentiments in Manila and closer collaboration with the United States. Despite the growing number of examples of China using both economic sticks and carrots in pursuit of statecraft, there are reasons why these will remain blunt, often ineffective, and sometimes counterproductive weapons. Notwithstanding the high level of state control over China’s economy, it is not always easy to get its companies to do the government’s bidding. Even when officials do manage to coordinate policy implementation, the costs to China’s domestic economy render coercion an expensive option. Furthermore, growing economic dependence upon China has exacerbated anxieties around Asia, spawning popular backlashes and strategic balancing. Beijing’s ability to use Chinese companies in pursuit of foreign policy interests faces several constraints. Most importantly, it requires coordination across a vast and complex array of state-owned corporations and government bureaucracies with unequal bureaucratic ranking. It is often difficult, if not impossible, for Chinese diplomats to order powerful state-owned enterprises to take steps that may compromise their commercial interests. Even if national leaders determine that a certain policy is essential to China’s national interests, implementing such measures across China’s far-flung economic juggernaut in a timely and effective fashion is extremely difficult. In his 2012 work report to the National People’s Congress, Premier Wen Jiabao insisted that the government would ‘guide Chinese enterprises under various forms of ownership in making overseas investments … in an orderly manner.’ However, by promoting overseas investments for political purposes, China’s government is creating a classic moral hazard. Chinese corporations may feel free to act in a fiscally irresponsible manner because they feel they are acting on direction from the state and can depend upon state-controlled banks for financial support if the enterprise they are engaged in is not profitable. For example, a 2008 PBoC report estimated that companies in one border city in Northeast China alone have lost some US$20 million investing in North Korea. Domestic actors may even hijack the policy process, manipulating strategic concerns to advance their own interests. The oil and gas pipelines built through Myanmar are a good example. Yunnan province officials and experts collaborated with national oil companies (NOCs) to feed fears of a ‘Malacca Dilemma’ – the concern that China has become too dependent on energy flows through the vulnerable Malacca Straits. Yunnan officials and the NOCs promoted the pipelines as a solution, despite their US$2.5 billion price tag and vulnerability to domestic instability. As Chen Shaofeng observed, in this case ‘the preferences of the Chinese government and the NOCs do not coincide.’ Private firms are even more aggressive than SOEs in pursuing overseas markets. They have few obligations to Chinese diplomats or national bureaucracies, relying instead upon a carefully cultivated local base of support. Successful local private entrepreneurs in China must cut corners to succeed. Commonplace acts such as bribing officials, falsifying contracts, and evading laws are unlikely to decline as they move far from home. Instead of serving as reliable agents for Beijing’s economic statecraft, ambitious Chinese firms exacerbate outsiders’ anxiety over China’s rise. Beijing has struggled for decades to cultivate a reputation as a responsible member of the international economic system and has sought to ease fears of a ‘China threat’, particularly among its Asian neighbours. Worried about ‘public opinion risk’ undermining these efforts, MOFCOM has urged Chinese firms to adopt a more ‘low-key’ approach when investing abroad. Indeed, survey data shows that, fair or not, Asian citizens tend to blame China when their own economies turn downward. But this is not limited to Asia. In Zambia, for instance, Michael Sata rode a populist wave of anti-China sentiments to his 2011 election as president – even though China has invested more than US$300 million in Zambia and employed more than 10,000 Zambians. Such popular anxiety encourages changes in policy, such as Mongolia’s recently tightened restrictions on foreign investment. China’s aid, investment, and trade benefits are designed to signal Beijing’s benevolent intent and highlight the benefits of accommodation. Yet China’s generosity also exacerbates fears of dependence, particularly among its smaller Asian neighbours. As US Secretary of State Hillary Clinton told a Cambodian audience, ‘I think it’s smart for Cambodia to be friends with many countries. Look for balance. You don’t want to become too dependent on any one country.’ A number of Southeast Asian states, including Beijing’s erstwhile ally, Myanmar, have taken Clinton up on the offer, welcoming the US’s ‘pivot’ back to Asia, in part as a hedge against rising Chinese influence. Economic coercion is also costly for China. As some Chinese experts pointed out during the 2012 consumer boycott, refusing to buy Japanese cars also ‘hurts Chinese workers’, and so is ‘irrational and self-destructive.’ Indeed, trade sanctions erode investor confidence and hurt domestic manufacturers. China’s massive trade surplus relies heavily on importing intermediate materials and exporting finished products. Selective trading bans disrupt these complex production chains, chasing investors to alternative manufacturing locations such as Vietnam. Politically, China’s leaders can ill-afford to undermine their export-manufacturing sector, particularly amidst global economic uncertainty. Even offering preferential trading terms entails economic costs. The generous ‘early harvests’ that Beijing proffered to ASEAN caused considerable resentment at home – resolved only by Beijing’s additional financial and political support to Yunnan and Guangxi provinces. As China transitions into a higher cost economy, protectionist pressures will grow, increasing the costs of such side payments. Free trade with China: a dangerous deal? Australia provides an excellent example of the limits that China faces in using economic means in pursuit of strategic objectives. Like many of their Asian neighbours, Australians are becoming more worried about China’s economic influence. The 2013 Lowy Institute Poll found that 57 per cent of Australians believe that the Australian government is allowing too much investment from China, despite the fact that Chinese investment constitutes less than 3 per cent of total foreign direct investment in Australia. Alongside such concerns about Chinese investment are growing worries about China as a military threat. A significant minority (41 per cent) see China as a likely military threat within the next two decades. While three in four Australians believe China is the most important economy to Australia, sentiments towards China have cooled over the past year. As the Abbott government embarks upon a new round of negotiations with China over a free trade agreement, Australians’ distrust of China may constrain the government’s ability to reach a deal. China’s economic statecraft poses two potential challenges for Australia. First, as Australia’s largest trading partner, China could hold Australian exports hostage to political demands over Australia’s military cooperation with the United States or engagement with Taiwan. In fact, Australia enjoys considerable economic leverage over China. As then prime minister Kevin Rudd reminded Parliament in 2011: ‘In quality, price and proximity, the iron ore Australia provides to China is without peer, and not easily replaceable elsewhere on the world market.’ Australia is China’s top source for mineral ores and coal, its second-largest source of liquid natural gas, and sixth largest source of fuels overall. Australia, along with Brazil, dominates the global iron ore export market. Even when Australia-China relations fell to a ‘generational low’ in 2009, China restrained from using the economic lever, and Australian exports to China continued to accelerate. Now that Beijing is struggling to avoid the ‘middle income trap’ by transitioning into a demand-driven, high-value economy, blocking its own access to key strategic inputs is even more unlikely, particularly amid lingering global uncertainty. Second, China might manipulate its investments in Australia for strategic purposes. Yet even here Australia’s exposure is limited. While Australia is the single-largest recipient of China’s foreign direct investment, China is only the ninth largest source of accumulated FDI for Australia, holding only 3 per cent of all direct investment stock in Australia. In 2012, 90 per cent of Chinese investment in Australia went into mining or gas projects; only 3 per cent went to agriculture. Chinese firms invest in Australia to mitigate their vulnerability to high prices while securing stable supply or raw materials to serve China’s burgeoning demand. Moreover, the Australian government and authorities have shown a willingness to act in cases where Chinese investments raise concerns over national security. For instance, the Foreign Investment Review Board blocked China Minmetals Corporation’s initial bid for OZ Minerals due to concerns that one mine was in close proximity to an Australia defence facility. China Minmetals revised its proposal to exclude this mine, enabling the overall bid to go through successfully in 2009. Both Labor and Coalition governments have rejected bids by the Chinese private firm Huawei to invest in Australia’s national broadband network due to security concerns. Another risk that is sometimes raised is that Chinese owners of mining stakes in Australia will export products back to China at below-market rates for political purposes. Yet given domestic pressure on Chinese company executives to generate profits from their FDI projects, aided by scrutiny by the Australian government, shareholders, and media, such tactics are extremely unlikely. The growing prevalence of Chinese investors pursuing off-take agreements, in which the investors take a share of the production output while maintaining a non-majority share in the company, limits China’s influence over corporate decision-making. Growing numbers of private Chinese investors in Australia should help ease concerns over government manipulation. As recent history has shown, expanding trade and investment with China is good for Australian prosperity. The Australian government will need to exercise due diligence in assessing investment arrangements, and should encourage a diversity of export markets, as well as expanding Australia’s service sector and agricultural exports to China. However, fears that China’s government will manipulate its trade and investment to undermine Australian autonomy or security are overblown. Both sides need to do a better job of explaining this reality to the Australian public. Chinese diplomats need to more fully explain what a state-owned enterprise is, and directly address Australian concerns over the degree to which these enterprises are controlled politically. Pointing to China’s considerable track record of investing in Australia would be a good start. The Abbott government will also have to pay more attention to public sentiments at home if it wishes to get a trade deal with China within the year. Economic statecraft is an important tool of Chinese foreign policy, worthy of serious and sustained attention; but it should not be used as an excuse for opposing economic engagement with China. Chinese leaders sit astride the world’s second-largest economy, enjoying political control over vast swaths of the nation’s wealth. The temptation to deploy this wealth for strategic purposes has proven irresistible. The allure of economic statecraft for Chinese leaders derives from their influence over China’s massive domestic economy. Yet the same two factors also undermine the effectiveness of China’s economic statecraft. The dispersal of power and diverging preferences across the multiplicity of actors involved in the state sector results in incoherent and often contradictory approaches to economic statecraft. Similarly, China’s rapid growth and regional prominence exacerbates anxiety among its Asian neighbours, generating backlashes and balancing responses across the region. The lack of coherence within China’s economic statecraft, China’s domestic economic challenges, and Australia’s considerable economic advantages all suggest that Australia is unlikely to find itself vulnerable to Chinese economic coercion, even as trade and investment ties deepen. The author is grateful to Nick Bisley, Anthony Bubalo, Stephen Grenville, and Linda Jakobson for their comments and suggestions on previous drafts of this Analysis. John Pomfret, “China’s billions reap rewards in Cambodia,” Washington Post, November 20, 2010, accessed November 11, 2013, http://www.washingtonpost.com/wp-dyn/content/article/2010/11/20/AR2010112003850.html. Heng Pheakdey, “Chinese investment and aid in Cambodia a controversial affair,” East Asia Forum, July 16, 2013, accessed November 11, 2013, http://www.eastasiaforum.org/2013/07/16/chinese-investment-and-aid-in-cambodia-a-controversial-affair/. Previous scholarship includes: Murray Scott Tanner, Chinese economic coercion against Taiwan: a tricky weapon to use (Santa Monica: RAND, 2007); William J. Norris, “Economic statecraft with Chinese characteristics: the use of commercial actors in China’s grand strategy” (PhD diss., MIT, Cambridge, MA, 2010); Deborah Bräutigam and Tang Xiaoyang, “Economic statecraft in China’s new overseas special economic zones: soft power, business, or resource security?” IFPRI Discussion Paper 01168, March 2012; James Reilly, “China’s unilateral sanctions,” The Washington Quarterly 35, no. 4, (2012): 121-33. Verna Yu, “Has Beijing got what it takes to be a global player?” South China Morning Post, October 2, 2010. Liu Wei, 国际经济制裁新特点及我国的应对策略［“New characteristics of international economic sanctions, and the countermeasures China should take,”] 商业经济研究 [Commercial Economic Research] 28 (2008): 32; Hu Yan, 采购外交浅议［“An initial discussion on purchasing diplomacy,”] 经济师 [Economist], no. 2 (2008): 79-80. Liu Jianping and Liu Weishu, 美国对外经济制裁问题研究—当代国际经济关系政治化的个案分析 [Research on the US’s use of economic sanctions: a case study of the politicization of current international economic relations] (Beijing: Renmin Publishers, 2009), 36. The preceding overview draws from: Norris, “Economic statecraft with Chinese characteristics,” 265-69. British Broadcasting Corporation, “Chinese bank tops global 1,000 ranking for the first time,” BBC News, July 1, 2013, http://www.bbc.co.uk/news/business-23122491. “China development bank,” International development finance club, accessed November 11, 2013, http://www.idfc.org/Members/cdb.aspx; Norris, Economic Statecraft with Chinese characteristics, 265. Simon Rabinovitch, “A new way of lending,” Financial Times, September 24, 2012, accessed November 11, 2013, http://www.ft.com/intl/cms/c1628ce2-03a3-11e2-bad2-00144feabdc0.pdf. “Fund rankings,” SWF Institute, accessed November 11, 2013, http://www.swfinstitute.org/fund-rankings/. Despite this ranking, SAFE is not really a sovereign wealth fund; it is the holding vehicle for China’s short-term foreign exchange reserves. My appreciation to Stephen Grenville for this clarification. Becky Chiu and Mervyn K. Lewis, Reforming China’s state-owned enterprises and banks (Cheltenham, UK and Northampton, M.A., USA: Edward Elgar Publishers, 2006), 205. Chui and Lewis, Reforming China’s state-owned enterprises and banks, 11. “SOEs occupy top 10 of 2013 fortune China 500 list,” CRI English, accessed November 11, 2013, http://english.cri.cn/6826/2013/07/16/2701s776100.htm. Michael Mastanduno, “Economic statecraft, interdependence, and national security: agendas for research,” Security Studies 9, no. 1-2 (1999): 288-316. Albert O. Hirschman, National power and the structure of foreign trade (Berkeley, University of California Press, 1980), 16. Data from: News.xinhuanet.com, “China’s foreign aid,” English.news.cn, April 21, 2011, accessed November 11, 2013, http://news.xinhuanet.com/english2010/china/2011-04/21/c_13839683_10.htm. Zhu Zhenming, “China’s foreign economic cooperation for CLMV: contact engineering in CLMV,” in Japan and Korea with the Mekong River Basin countries, ed. Mitsuhiro Kagami (Bangkok, Bangkok Research Center, 2010), 23. Hu Yan, “An initial discussion on purchasing diplomacy,” 79. She Zhan, 达赖问题与绕法之路 [“The Dalai issue and ‘circling France trip,”] 世界经济与政治 [World Economics and Politics] 3, no. 423 (2009): 45-6. Ding Qingfen, “France goes back on China’s shopping list,” China Daily, October 29, 2009, accessed November 11, 2013, http://www.chinadaily.com.cn/china/2009-10/29/content_8865307.htm. “Canada-China Joint Statement”, (Beijing, December 3, 2009), accessed November 26 2013, http://pm.gc.ca/eng/news/2009/12/03/canada-china-joint-statement. Wenran Jiang, “Canada resumes summit diplomacy with China,” China Brief 10, no. 1 (2010) 8-10. Jonathan Holslag, “China’s roads to influence,” Asian Survey 50, no. 4 (2010), 641-62. “Relations with Southeast Asia: being there,” The Economist, October 19-25, 2013, 29-30. Drawn primarily from: “China’s free trade agreements,” China FTA network, accessed November 11, 2013, http://fta.mofcom.gov.cn/english/fta_qianshu.shtml. ‘Year’ refers to the date agreements were signed. These figures exclude the ECFA with Taiwan, which China does not officially include as an FTA. John Ravenhill and Jiang Yang, “China’s move to preferential trading: a new direction in China’s diplomacy,” Journal of Contemporary China 18, no. 58 (2009): 27-46. Interview, Foreign Affairs College, Beijing, March 2012. 中国市释放持朝鲜经济改革型号[“China sends a signal of support for DPRK economic reform”], Xinhua net, August 15, 2012, accessed November 11, 2013, http://news.66wz.com/system/2012/08/15/103312107.shtml. Lin Jinshu and Quan Zhenan. 现代朝鲜经济 [Modern North Korea Economy], (Yanbian, Yanbian Daxue Chubanshe, 2011), 319. RIA Novosti, “China threatens U.S. firms with sanctions over Taiwan arms,” RIA Novosti, January 30, 2010, accessed November 11, 2013, http://en.rian.ru/world/20100130/157723449.html. Raffaello Pantucci, “Break up time for Pakistan, China?” The Diplomat, June 7, 2012, accessed November 11, 2013, http://the-diplomat.com/china-power/2012/06/07/break-up-time-for-pakistan-china/. Shirong Chen, “China warns Nobel committee not to honour dissident Liu,” BBC News, September 28, 2010, accessed November 11, 2013, http://www.bbc.co.uk/news/world-asia-pacific-11429869. Linda Jakobson and Jingchao Peng, “China’s Arctic aspirations,” SIPRI Policy Paper 34, November 2012, 21. Gilles Castonguay, “Fiat apologizes to China for TV ad for new car,” Reuters, June 21, 2008, accessed November 11, 2013, http://www.reuters.com/article/2008/06/21/industry-fiat-china-dc-idUSL2030648920080621. 从我做起抵制日货爱我中华 ［“Love our China，the boycott of Japanese products begins with me”], anonymous blog, August 16, 2012, accessed November 11, 2013, http://forum.home.news.cn/thread/103614758/1.html. “China tells citizens not to hold anti-Japan protests,” Kyodo, September 19, 2012, accessed November 11, 2013, http://www.thefreelibrary.com/UPDATE1%3A+China+tells+citizens+not+to+hold+anti-Japan+protests.-a0303222919. “Further on firms saying China tightens customs inspections from Japan,” Agence France-Presse, September 21, 2012, accessed November 11, 2013, ProQuest Dialog. “Japanese businesses booted from major China trade fair,” The Japan Times, September 27, 2012. Richard Katz, “Mutual assured production: why trade will limit conflict between China and Japan,” Foreign Affairs 92, no. 4 (2013): 22. Andreas Fuchs and Nils-Hendrik Klann, “Paying a visit: the Dalai Lama effect on international trade,” Journal of International Economics 91, no. 1 (2013): 164-77. Farah Farouque, “PM, Rudd shun Dalai Lama,” The Age, June 14, 2011, accessed November 11, 2013, http://www.theage.com.au/national/pm-rudd-shun-dalai-lama-20110613-1g0ie.html#ixzz1YOwme3Vl. Preceding points all drawn from Fuchs and Klann, “Paying a visit,” 11. Jean-Pierre Cabestan, “The new détente in the Taiwan Strait and its impact on Taiwan’s security and future,” China Perspectives 3 (2010): 22-33. Wen Jiabao, “Report on the work of the government” (delivered at the fifth session of the eleventh National People’s Congress, March 5, 2012), accessed November 11 2013, http://online.wsj.com/public/resources/documents/2012NPC_GovtWorkReport_English.pdf. Zhou Ning, 中国商人在朝鲜投资损失调查 [“Research into the investment losses of Chinese companies in DPRK”], Caijing blog, July 12, 2012, http://blog.caijing.com.cn/expert_article-151492-8538.shtml. Shaofeng Chen, “Motivations behind China’s foreign oil quest,” Journal of Chinese Political Science 13, no. 1 (2008): 79–103. Matthew Linley, James Reilly, and Benjamin Goldsmith, “Who’s afraid of the dragon? Asian mass publics’ perceptions of China’s influence,” Japanese Journal of Political Science 13, no. 4 (2012): 501-23. British Broadcasting Corporation, “Michael Sata: Zambia’s ‘King Cobra’ finally strikes,” BBC News, September 23, 2011, accessed November 11, 2013, http://www.bbc.co.uk/news/world-africa-15034694. Jay Solomon, “Clinton presses Cambodia on China,” Wall Street Journal, November 1, 2010, accessed November 11, 2013, http://online.wsj.com/article/SB10001424052748704141104575587910123633380.html. James Reilly, “China and Japan in Myanmar: aid, natural resources and influence,” Asian Studies Review 37, no. 2 (2013): 141-57. Gao Mei, 抵制日货绝对不是一个理性的做法 [“Boycott Japanese goods is definitely not a rational action”], 新京报 [New Beijing News], September 14, 2012, accessed November 11, 2013, http://finance.people.com.cn/n/2012/0914/c1004-19005598.html. John Lee, “Divergence in Australia’s economic and security interests?” in Australia and China at 40, ed. James Reilly and Jingdong Yuan (Sydney: University of New South Wales Press, 2012), 142-61. Nicholas R. Lardy, Sustaining China's economic growth after the global financial crisis (Washington, D.C.: Peterson Institute, 2012). Daniel W. Drezner, “Bad debts: assessing China’s financial influence in great power relations,” International Security 34, no. 2 (2009): 10. Ravenhill and Yang, “China’s move to preferential trading,” 40. KPMG and The University of Sydney China Studies Centre, Demystifying Chinese investment in Australia. KPMG Special Report, March 2013, accessed November 11, 2013, http://sydney.edu.au/china_studies_centre/images/content/Research/KPMG_2013_N10756MKT_China_Report_WEB_spreads.pdf. Alex Oliver, The Lowy Institute Poll, Australia and the world: public opinion and foreign policy, (Sydney: Lowy Institute for International Policy, 2013), accessed November 11, 2013, http://www.lowyinstitute.org/files/lowypoll2013_web_corrected_p5.pdf. For such warnings, see: Hugh White, “The limits to optimism: Australia and the rise of China,” Australian Journal of International Affairs 59, no. 4 (2005): 469-80. Ding Dou, “China’s resources trade and investment in Australia,” in Australia and China at 40, ed. James Reilly and Jingdong Yuan, (Sydney: NewSouth Publishing, 2012), 122. KPMG et al., Demystifying Chinese investment in Australia. Zha Daojiong, “Chinese FDI in Australia: drivers and perceptions” (speech presented to the Lowy Institute for International Policy, Sydney, February 27, 2013), accessed November 11, 2013, http://lowyinstitute.org/publications/chinese-fdi-australia-drivers-and-perceptions. Andrew Michelmore, “What drives Chinese investment in Australia?” (speech presented at the 10th anniversary ‘China Changing’ Lecture to the Lowy Institute for International Policy, Beijing, September 18, 2013), accessed November 11, 2013, http://lowyinstitute.org/publications/10th-anniversary-china-changing-lecture-beijing-what-drives-chinese-investment-australia. Zha, “Chinese FDI in Australia: drivers and perceptions,”. In 2012, private investors made 26 per cent of all Chinese investments in Australia (representing 13 per cent of value); the remainder was from state-owned entities. See: KPMG et al., Demystifying Chinese investment in Australia.